I know, I know - we're constantly told to "be a traveller, not a tourist," and that sightseeing in cheesy, crowded locations doesn't allow you to immerse yourself in the local culture and get to know the true sense of a place. And I absolutely, totally believe this! I would never let a friend or family member visiting New York for the first time only go to Times Square and think that's what city life is like. Conversely, I pride myself on embracing my adventurous and inquisitive spirit by seeking out hole-in-the-wall bars, restaurants that don't have a million Yelp reviews, and obscure historical sites honoring people long forgotten by the general public. But when I visited Dublin a few weeks ago, I threw all that out the door and visited every tourist trap it has to offer. And I don't regret a second of it. 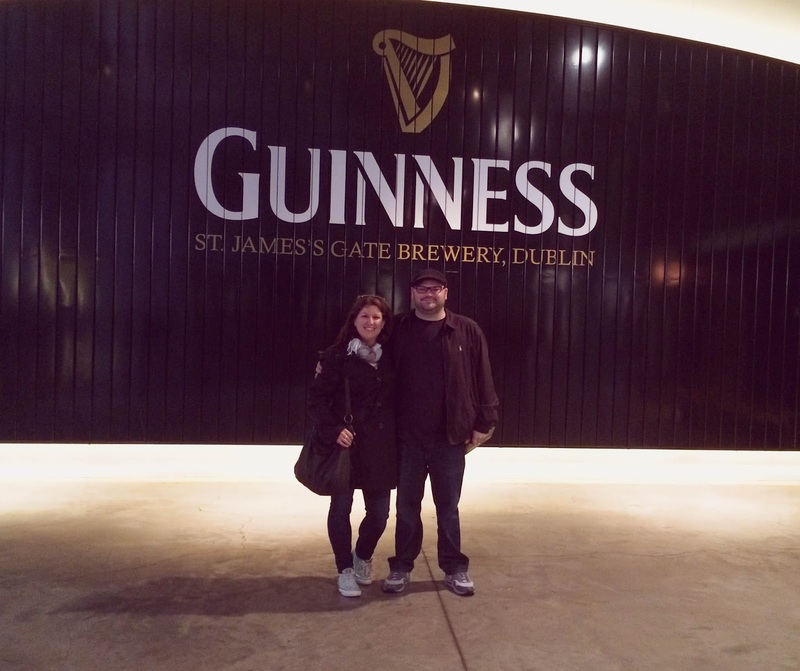 It all started with the Guinness Brewery. See, I love a good beer. I also love a good brewery tour. And while I've been on a couple well-know tours before (Heineken, Magic Hat), I've always viewed the Guinness tour as my personal Everest (dramatic, yes, but again - I really love beer). That, and I had actually never drank a full, pure pint of Guinness. I'd had black & tans and black velvets and black castles (Guinness + Bass, cider, and Smithwicks, respectively) but never an entire pint consisting solely of the black stuff. 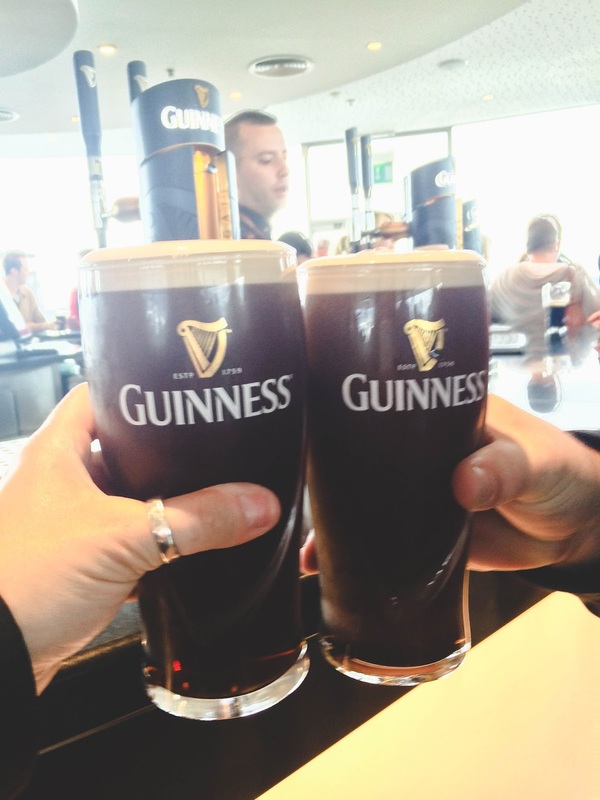 Call me overly sentimental, but I'd been waiting until I got to Ireland to have my first pint. The brewery was not the first thing we did upon arriving in Dublin, because that would have made us seem like alcoholics. Instead, we toured the lovely Christ Church Cathedral and the lesser known Chester Beatty Library, home to a fascinating exhibit on world religions that showcased, among many other artifacts, some of the earliest known copies of the Letters of St. Paul and fragments of the four Gospels. My inner theology-buff was beyond excited. Best of all, the Library and it's collections are free to the public. THEN we went to Guinness. And it was great! A bit pricy (20€ for each adult ticket), but it's a lengthy and informative tour that lasts well over an hour. It's also a ton of fun - each of the seven pint-glass-shaped floors (not joking) have interactive games, photo booths, whistling clam shells (again, not joking), and stations at which you can learn how to properly pour and taste your Guinness. You're allowed to go at your own pace, and the tour culminates in a full pint at the bar on the top floor (included in your admission ticket). With 360-degree windows, the view of Dublin is nearly as impressive as the beer itself. 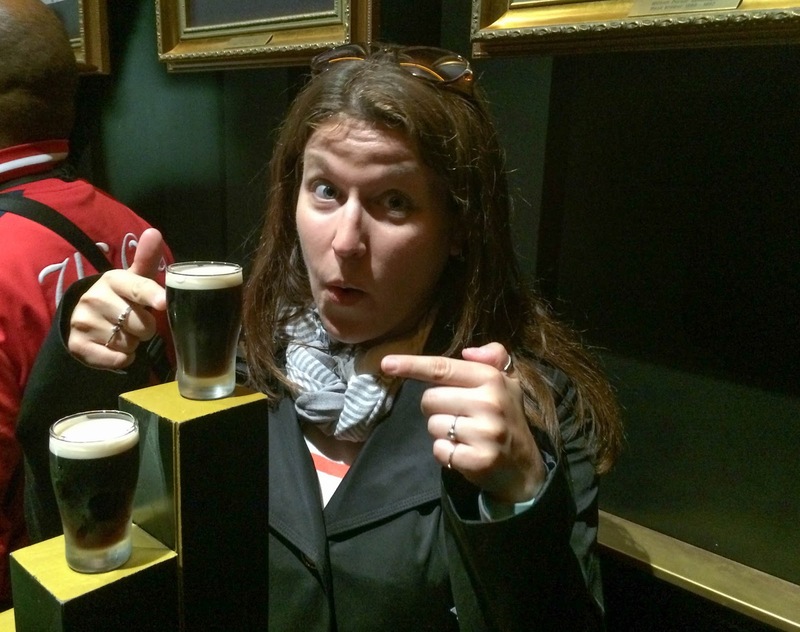 So was it worth the 10-year wait to have my first pint of Guinness in Dublin? Yes. Even though I can't yet compare Irish Guinness to "the stuff they pour in the states," my pint was cold, creamy, malty, and everything I'd dreamed of. I raised a glass to my friends at The Three Counties (my local pub back in Chicago) and sat back to savor my drink. And then I finished J's drink as well because he's a whiskey guy not a beer guy and was secretly hoping I'd finish my drink quickly so we could head to a pub that serves mixed drinks. Which we did immediately after going back to our hotel to take a nap. Because that's how you vacation. If you go: The Guinness Storehouse is located near the outskirts of downtown Dublin; we took a cab there and walked back to our hotel. It's open seven days a week with the last tour beginning at 5pm, and buying your ticket online can save you 2€ per adult ticket.